On Friday, 23 June, Wales will go all out against Samoa in Apia. 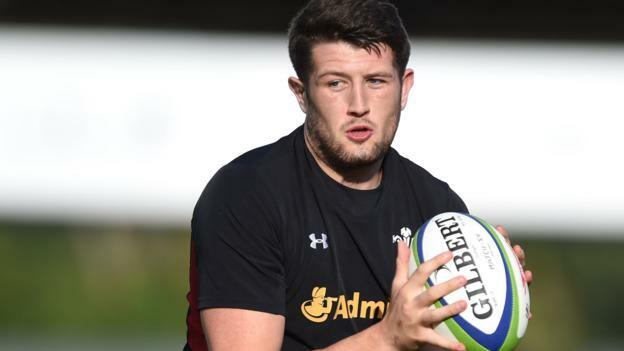 Rory Thornton who features in lock position for Ospreys is eager to win his first cap and feature in his first match for the Wales Rugby Team. During the 2017 Six Nations, Thornton was never featured with the other squad members as well as back in 2016 at the autumn internationals. The 22 year old noted that the journey so far has been a process of building himself up and training hard and he was ecstatic when his name was called out on the team sheet. “It’s been building as I’ve been in a few camps now, but to finally get my name called out on that team sheet was an awesome feeling,” he said. “I’ve been champing at the bit these last few camps, training hard.” the Ospreys lock added. He would be replacing Cory Hill, who was called up to join the British and Lions squad after Wales thrashed Tonga in a 24-6 victory. Warming the bench are two other uncapped players just like Thornton- lock Adam Beard and scrum half Tomos Williams. The 2016-17 season had him appearing 25 times for his club side. However, he hopes that his transition to the international setting would be a big one. He who spoke to BBC Wales Sport further went on to talk about his time so far at Ospreys and the experiences he has gathered especially with his involvement in the Pro12 and the [European] Challenge Cup. The former Wales under-20 captain is not belittling the Samoan team whom he believes are much more experienced unlike his team which features a largely inexperienced squad. Between themselves, the forwards of the Wales squad have won just 31 caps.